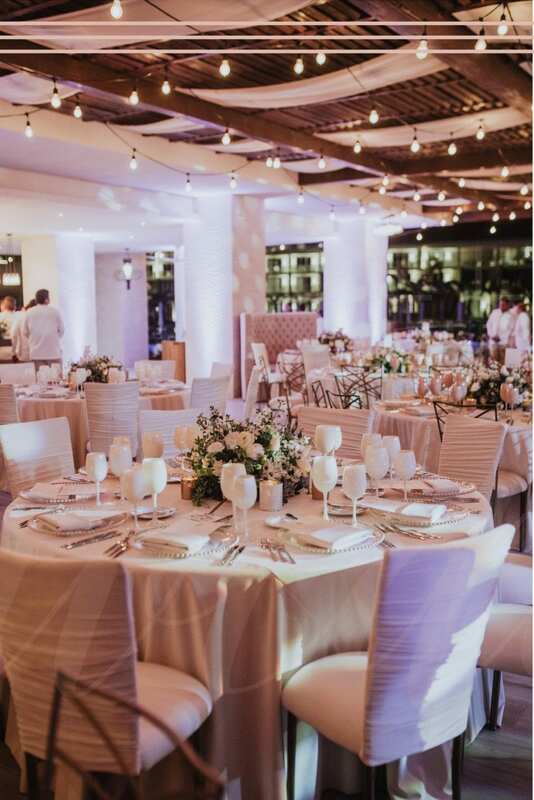 Weddings at Le Blanc Los Cabos - Get Married at this Brand New Resort! 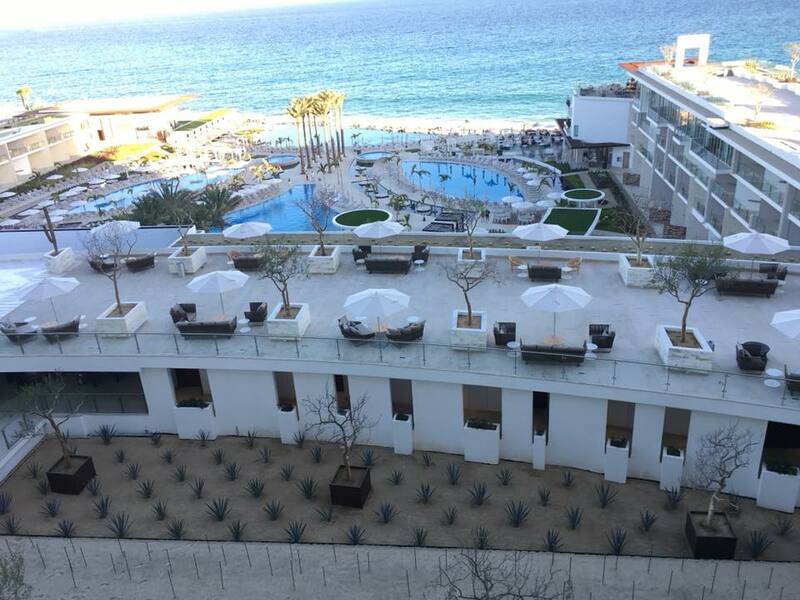 Get Married at the Brand New Le Blanc Los Cabos! 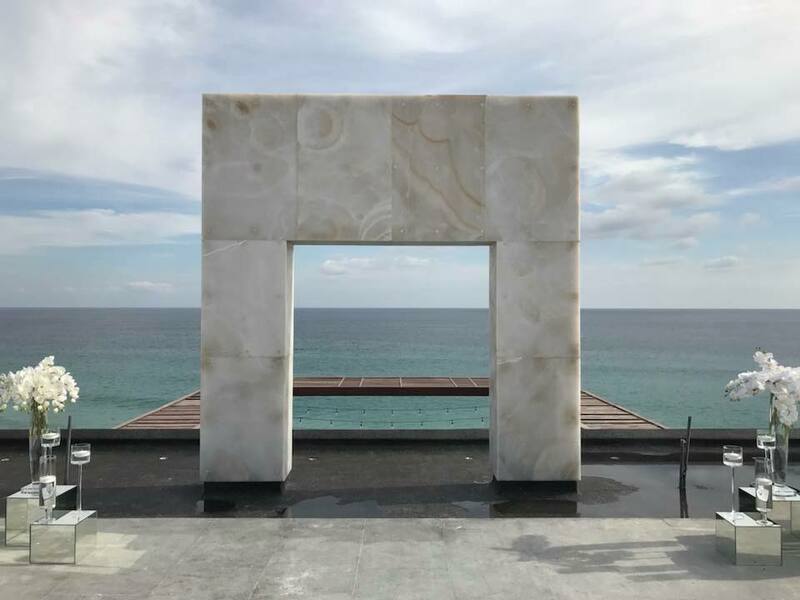 Home > Uncategorized > Get Married at the Brand New Le Blanc Los Cabos! 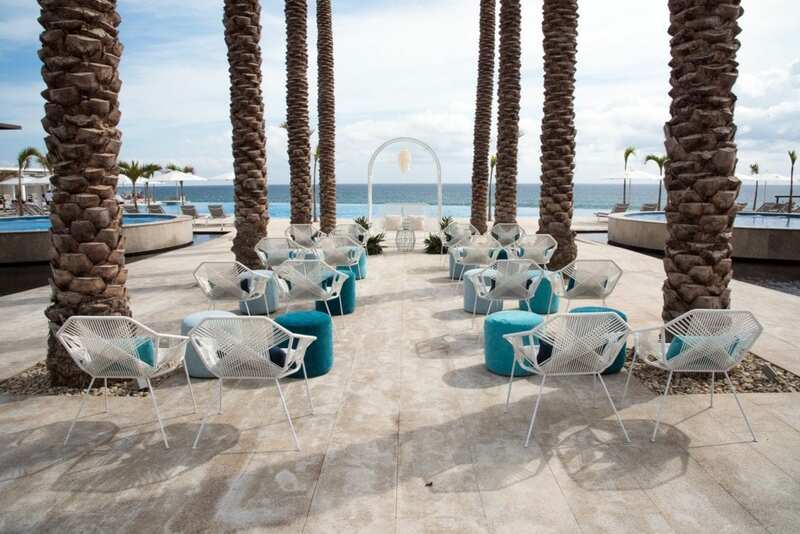 29 Mar Get Married at the Brand New Le Blanc Los Cabos! Cabo is the perfect setting for a destination wedding. It is romantic, with many high-end resort options. Le Blanc Los Cabos is an incredible choice for your big day. This adults-only, all-inclusive resort has many beautiful venues to choose from. Located adjacent to the lobby, with amazing views of the entire resort and a full, unobstructed view of the Sea of Cortez. Available for 200 people for ceremony seating (and has a really pretty marble arch at the very far side closest to the sea, plus a beautiful path lined with trees and cacti), 180 for a cocktail reception, and 103 for a dinner reception. No up-charge for this venue. Just outside the lobby, above the lobby bar. This can accommodate up to 230 for a cocktail reception or 150 for a dinner reception. This is one of the largest outdoor options. Another large outdoor option is surrounding the pools on the main grounds of the resort. This is where a sit-down dinner was held for the grand opening event last weekend. See more information under #4, below. The pool area and main grounds has several different options for your wedding ceremony and reception. Pictured above is the setup for an intimate ceremony between the palm trees, looking out over the infinity pool to the Sea of Cortez. For a larger reception on the main grounds, tables surround the two pools closest to the lobby, with the band set up between the palm trees in front of the infinity pool. Both of these are excellent options! Blanc Ocean is a Mexican fusion/seafood restaurant that sits right above the beach, adjacent to the gorgeous infinity pool. A handful of restaurants are reservable for your wedding reception. Contact your travel agent at Enchanted Honeymoons Travel for more information on hosting your reception at one of Le Blanc’s restaurants. The ballroom is a good option for large weddings with over 250 guests. This large space is also available as a backup for the outdoor venues in case of inclement weather. Call us today at 402-281-3022 to start planning your dream destination wedding getaway today!